Suppression of motor speed during no-load reduces vibration of tool body. 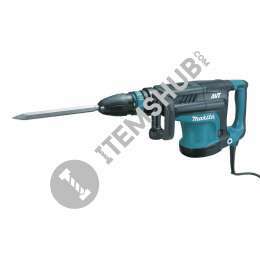 The Makita HM1213C SDS-MAX Demolition Hammer is highly durable and offers an excellent demolition performance. It has anti vibration technology that ensures extra-low vibration during usage. The motor speed is suppressed during no-load operation reducing vibration of the tool body and the bit can be set to 12 different positions for optimum user convenience. It has a one touch sliding chuck for easy bit removal and installation as well as an LED lamp indicator to tell the user a carbon brush needs replacing. It has double insulation and variable speed along with soft start and constant speed under load. Standard Equipment: Bull Point, Bit Grease, Side Handle. 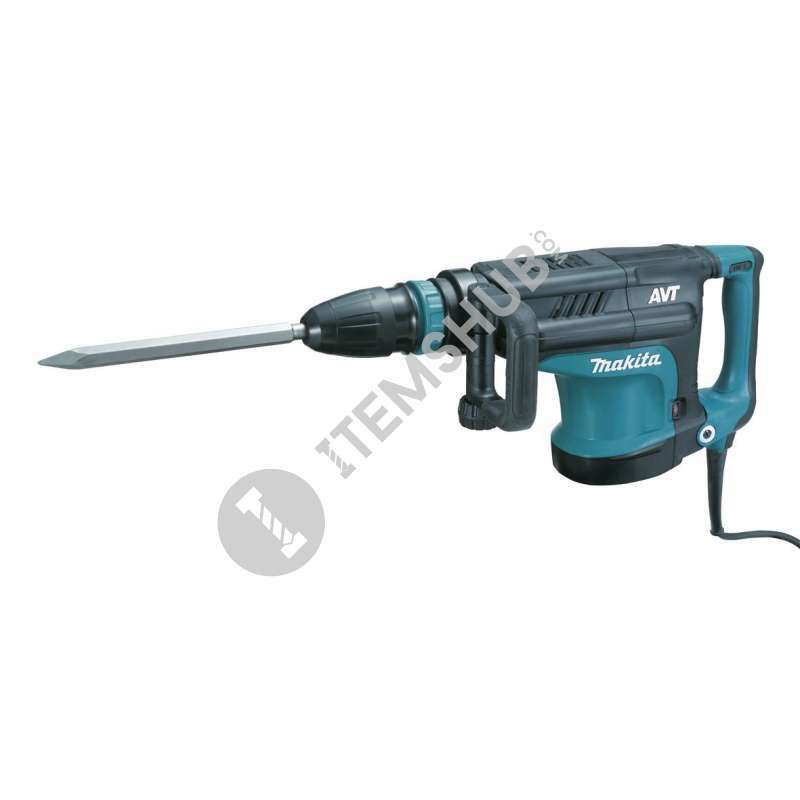 Summary The Makita HM1213C SDS-MAX Demolition Hammer is highly durable and offers an excellent demolition performance. It has anti vibration technology that ensures extra-low vibration during usage. 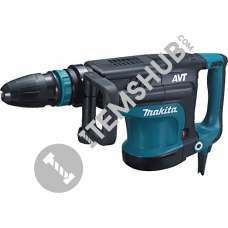 The motor.. Makita HM1203C Hammer Drill uses constant speed control that automatically applies additional power to the industrial motor helping to maintain speed under load allowing fast and safe completion..